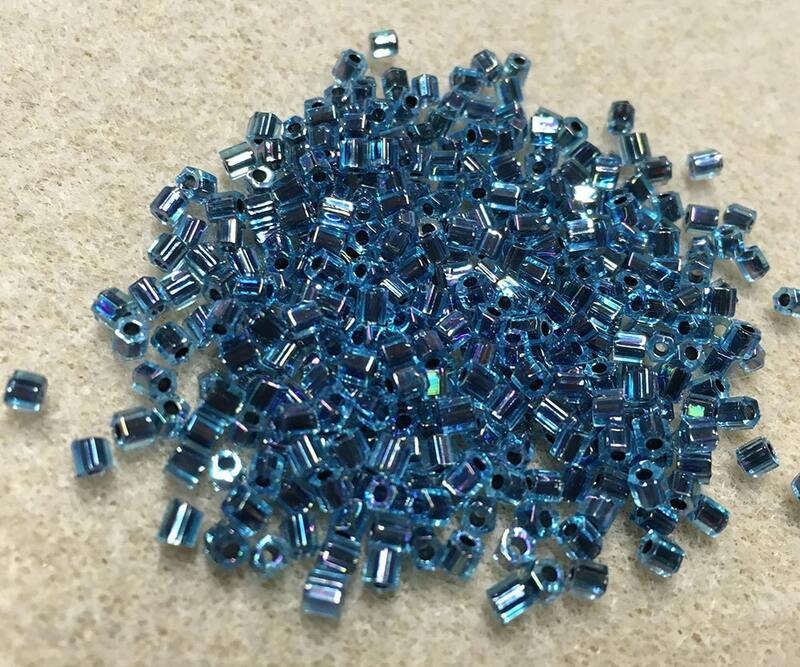 Blue lined aqua AB Miyuki hex cut beads, size 8/0. One 8 gram tube, over 200 beads. Plenty of beads for your beading or knitting projects!